Goodbye panda eyes! After messing around with smudgy pencil eyeliner for years, I've finally made the switch to gel. Never really liked liquid, I found it hard to manipulate and always ended up blinking and ending up with double-lines on the lid. Two lines good, four lines baaaad. 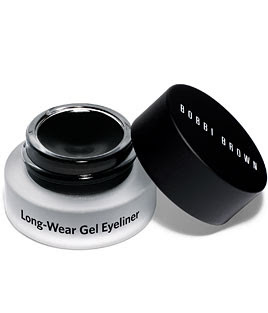 My gel eyeliner of choice is the one that every gal and her momma swear by: Bobbi Brown's long-wear gel eyeliner. And now I realize how stupid I was to ever muck about with pencil. To apply the liner, I use MAC's 212 flat definer brush, but I want to pick up an angled one and I hear from my new beauty guru Jeannie that 266 is the one to choose (girlfriend had, like, 50-100 brushes in her kit so I believe her). And for anyone who's as beauty-retarded as I am, Youtube is the place to go. 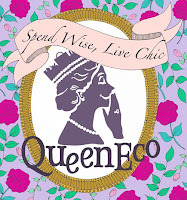 Search any look or product and there will undoubtedly be a video teaching you how to best manipulate it. Michelle Phan is probably the favourite, but I'll share others on another day. Gel EL FTW & yep, MAC 266 is the shizz!